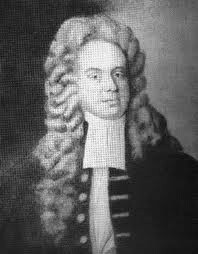 John Peter Zenger was a German-America immigrant that became a journalist and publisher in New York. When he was a young child his family migrated to the colonies but during their trip his father died. Zenger and his family were then forced to go into indentured servitude for printer William Bradford. (not to be confused with the William Bradford signer of the Mayflower Compact). 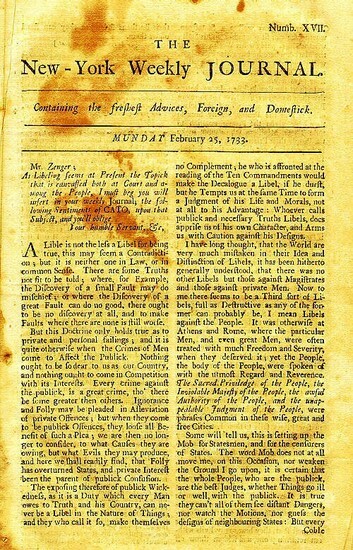 Zenger, in the later months of 1733, began printing criticisms of the British-appointed governor, William Cosby, who imprisoned him on charges of libel. Zenger was defended by Andrew Hamilton in his eventual trial and Hamilton claimed that it could not be considered libel if the reported qualities are factual. This helped to establish the concept of freedom of the press, later to be a constitutional right. Zenger held the belief that it was important for the public to know of the injustices against the people by the government and appointed officials. 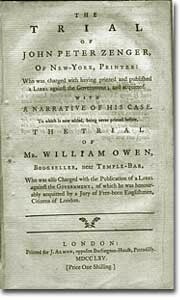 Cato, a pseudonym for two of Zenger's writers, published before the trial "– The exposing therefore of Publick Wickedness, as it is a Duty which every Man owes to the Truth and his Country, can never be a Libel in the Nature of Things?" A point which Hamilton made key in the trial. This was a huge component of the concept of "freedom of the press", which in turn was an important part of the development of the colonies. John Peter Zenger did have integrity. He was completely honest throughout his whole trial. John Peter Zenger had a opinion and spoke to the world about it but then got in trouble for doing that. He wasn't a criminal but just got in trouble for voicing his opinion against the government because at the time there was me freedom of speech. He did have integrity by being honest and not letting the trial change his opinion. Zenger displayed citizenship by fighting for freedom of speech in the colonies. He felt it was his duty as a citizen to publish the articles against Governor Cosby because the truth about a corrupt politician needed to be heard and he and Americans should have the right to do so.